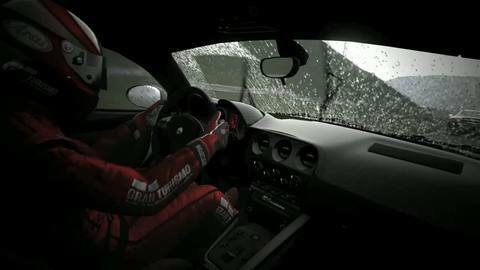 GT5 still set for "astronomical sales"
But could lose momentum if out after NFS. Sony's high-profile PlayStation 3 exclusive racer Gran Turismo 5 will still enjoy spectacular sales despite suffering a delay, but could lose momentum if it's released after Need for Speed: Hot Pursuit, analysts have said. This afternoon Sony announced that Polyphony Digital's game would miss its announced 5th November release date and instead be out "before Christmas". In a statement Sony said "creator Kazunori Yamauchi and the team at Polyphony Digital want to make certain they are creating a racing experience of the highest quality". Analysts have predicted the delay will have little impact on the game's success – and that of the PS3 this year. "I don't believe a GT5 delay impacts Sony's current momentum," Capital Research's Jesse Divnich told Eurogamer. "GT5 is such an anticipated title that delays are unlikely to impact consumer's purchase intent. Whether released a week later or the last week of December, sales will be astronomical." Wedbush Securities' Michael Pachter suggested two possible outcomes. "Without knowing the date, it's impossible to say," he said. "If it's a week, no impact. If after Need for Speed, they could lose some momentum." EA's Criterion-developed racer Need for Speed: Hot Pursuit is due out on PC, PlayStation 3 and Xbox 360 on 19th November. M2 Research analyst Billy Pidgeon told Eurogamer that Gran Turismo's long development period means this latest delay comes as no surprise. "Another delay on Gran Turismo is disappointing, especially to the most enthusiastic fans of the franchise," Pidgeon said. "Still, there have been so many delays that another one is not surprising. Obviously, there's not much time left in the holiday season so Yamauchi and Polyphony have got to go gold within two months." He added: "I wouldn't revise PS3 uptake estimates on this news as it is still possible GT5 is released in Q4 2010 or Q1 2011 and is likely to spur new and upgrade console sales." Pidgeon said Gran Turismo 5 is "crucial" to Sony's 3D telly push. "Sony has set the visuals bar pretty high with Gran Turismo," he offered, "so it is crucial that the graphics (as seen on HDTV and in stereoscopic 3D with camera-based head tracking) impress the critics and the fans. "Gran Turismo 5's timely release is perhaps even more crucial to Sony's 3D TV division than it is to PS3. In-store demos of GT5 may be the best case Sony can make to consumers for 3D TV." Sony promised a new release date by the end of the month.